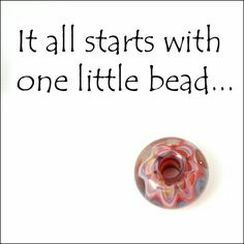 Welcome to the ​Macarthur Bead Society, a community of dedicated beaders, coming together to explore, learn, challenge themselves and create. Our monthly meetings may feature guest speakers who present to our members, their work, techniques, or supplies. Each month we will endeavour to offer classes and workshops in beadweaving, bead embroidery, freeform, and multi media, based on demand. The April meeting will be held on the 2nd Saturday of the month, as Easter falls on the 3rd weekend. If you would like to become a sponsor of Macarthur Bead Society, please follow the link at the bottom of the page. ***To be taken to the sponsors website, please click on their logo. Follow us on Facebook and twitter, and share your creations with your fellow members. Chat in real time away from the meetings. Keep up to date with events, and new products.